ICHF Events, the UKs’ premier provider of craft, hobby and lifestyle shows, is pleased to be offering UK coach and travel companies the opportunity to run trips to its Stitching, Sewing & Hobbycrafts shows in 2017. Not only do these shows attract a demographic that frequently use coach services for days out, they also are ever diversifying and getting the attention of a new audience who may also be interested in travelling by coach for days out, for comfort, green and clean living, or just for fun! Stitching, Sewing & Hobbycrafts shows are not only UK renounced destination events for hobby lovers; they allow visitors to stock up on crafting products, take part in demonstrations and workshops, and enjoy exclusive feature displays and exhibits in quality venues across the country. 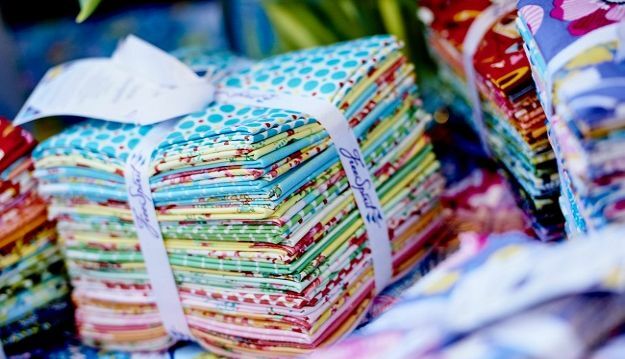 Perfect for a day out for crafters, hobbyists and dressmakers, these stunning shows set in desirable locations across the UK are perfect girly or family days out. Groups, societies, and guilds from across the UK also attend these events in their droves – perfect for group trips and away days! ICHF Events tickets are great value, with early bird offers, free ticket for every ten purchased and with Group Tickets (10+) available on sale or return plus kids go free with every adult. With ICHF Events, you know there is friendly, knowledgeable staff at the end of the phone to assist you, quick and easy update systems and marketing support available to help promote your trips. It’s time for you and your customers to get crafty!